A child whose photo has become an emblem of the family separation crisis at the border was in fact never apart from her mother, according to the Daily Mail. What’s more, she was, essentially, stolen from her father and taken on a journey he considered dangerous. 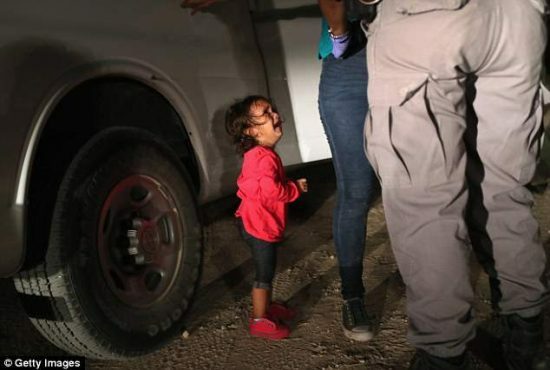 The photo is heartbreaking, but it simply depicts the child’s reaction during the detention of her and her mother. I wonder if this will screw up the photographer’s no-doubt upcoming Pulitzer. That didn’t stop the supposedly objective MSM newsmagazine Time from using it to editorialize. After I read about this from Breitbart and others there are several things that struck me. 2. She left her husband and 3 other children in Honduras. He had a job and was content there. 3. She had been deported once before in 2013. 4. A person posted the photo on Facebook and raised $17-$20 million. One problem with open borders is it makes it easy for people to come and not stay in their own country and make it better there. Sad thing is the Progressives/Libs will not bat an eye at all of this and it will continue. I personally just don’t understand the mindset of anyone that thinks ILLEGAL immigration is O.K. A nation following the law, or, lawless individuals threatening the safety of innocent citizens. When the police arrest your neighborhood meth dealer, should we send their kids to jail with them? When a burglar is arrested, and a child is in the home, should the child go along for the ride? No they shouldn’t. The child is taken into protective custody. If a relative turns up, the child is released to the relative. This is no different. what is fitting is how the news media use false narratives and don’t fact check their stories. 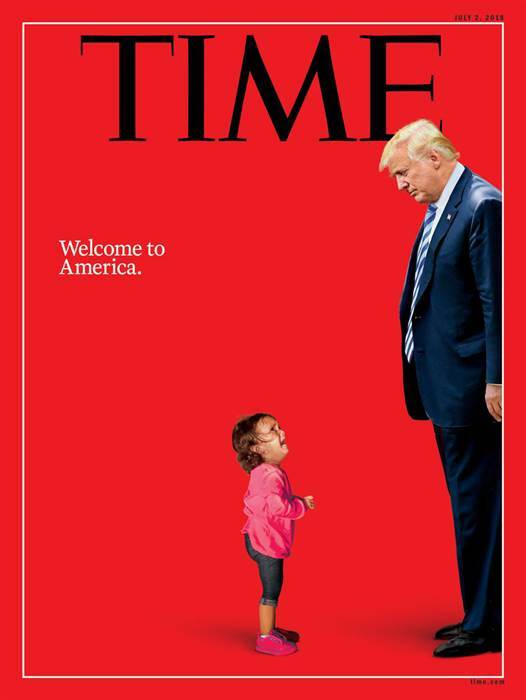 And America does stand for separating families of criminals all the time. This mother chose to leave her family so that she could go the usa. She had already been turned away before. Would suggest you read the passage before the one you selectively posted. What America feeds the people and house them… even when they break into our land without coming in the the country. Selective use of scripture by pastors to be used for their political agendas ..
Today’s American church is little more than an national pacifist, philanthropic organization in the name of Christian works at the expense of God ordained man-power against the perverse mascufeminists that run the show. I’m sick of the US being gamed by foreigners and by Progs. Never….ever…let accuracy get in the way of an agenda….